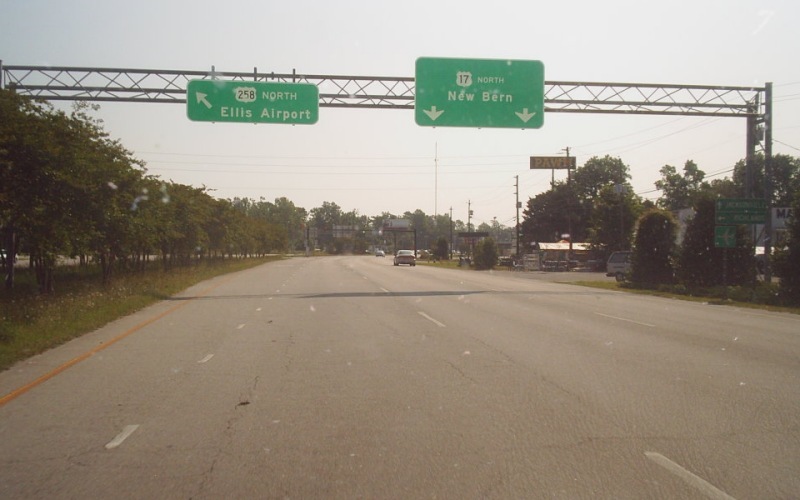 END signage approaching the southern terminus at US 17 (in the far background). 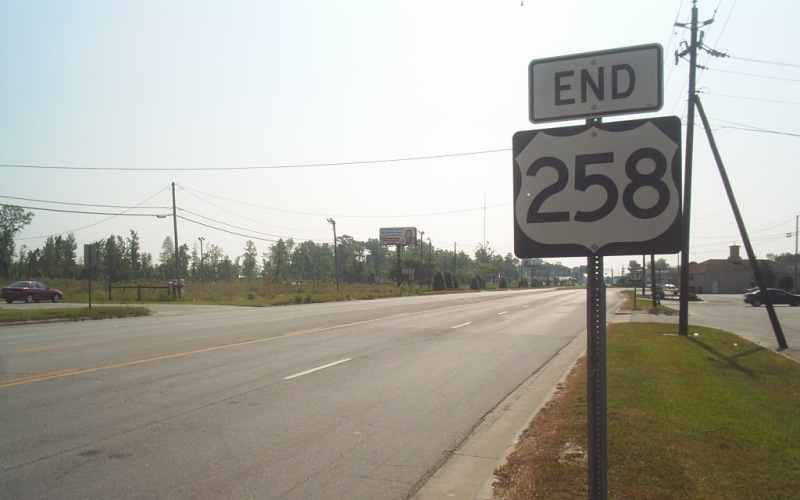 Photo by Doug Kerr, taken May 28, 2006. 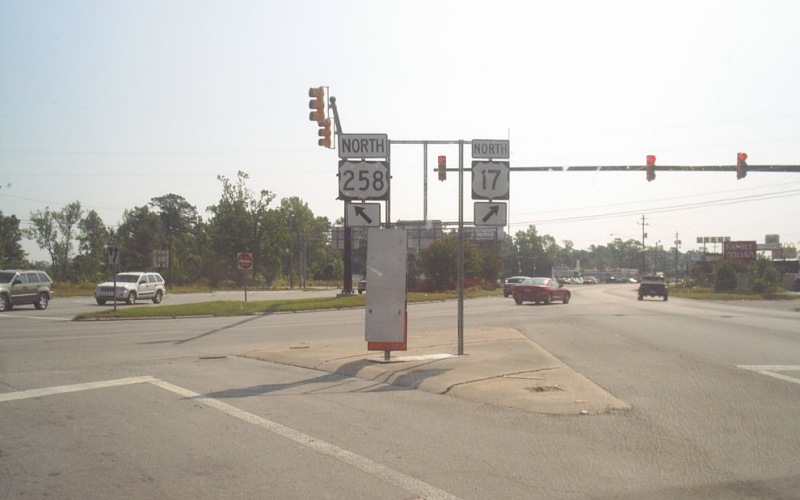 Overhead signage on northbound US 17 just before US 258's southern terminus. Photo by Doug Kerr, taken May 28, 2006. Trailblazers in a gore at the intersection. Photo by Doug Kerr, taken May 28, 2006. 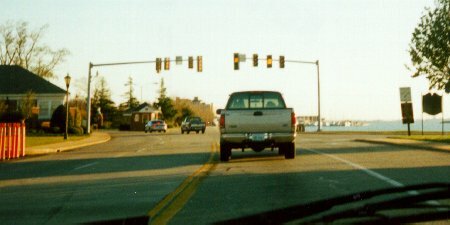 US 258's eastern terminus at the entrance to Fort Monroe in Hampton, VA. Photo by Adam Froehlig, taken late November, 1999.